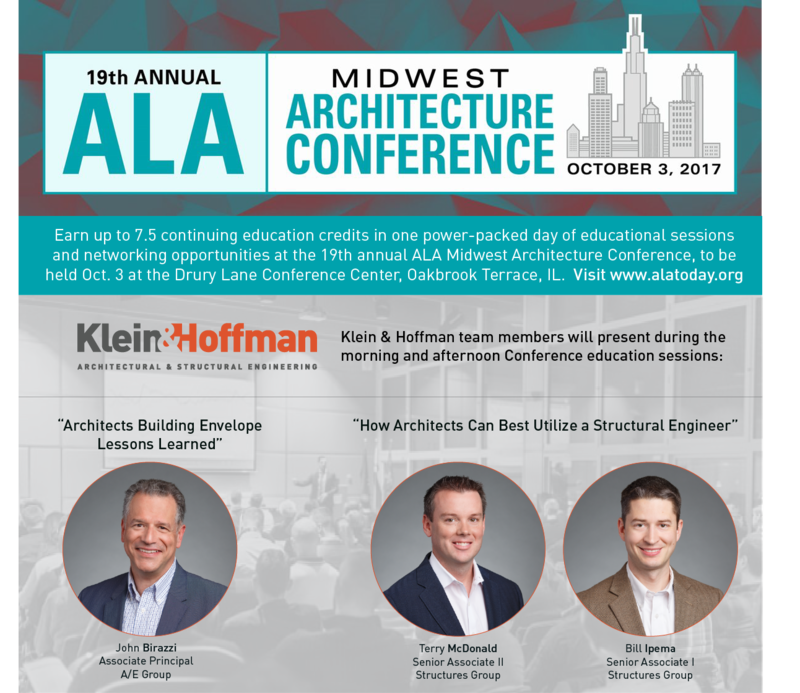 Klein & Hoffman team members John Birazzi, Terry McDonald and Bill Ipema will be presenting during the education sessions at the Association of Licensed Architects, 19th Annual ALA Midwest Architecture Conference Oct. 3rd. Visit www.alatoday.org for more details. ◀ Chicago Union Station Skylight Renovation Underway!